Now that Thanksgiving is behind us and – ready or not – the holiday shopping season is upon us, it’s time to start figuring out some good gift ideas for the friends, family and tailgaters in your life! We think we’ve found one! Just cruising around Costco the other day, I saw this Brewer’s advent calendar, a 24-can beer-a-day set that I think would be a great gift idea for just about any beer lovers and tailgating fanatics. Or hey, buy one for yourself and get into the holiday spirit, trying one new flavor of German beer each day from Dec. 1 through Dec. 24. Or pick up a pack to take to your next tailgate or holiday party and ring in the season as a group. 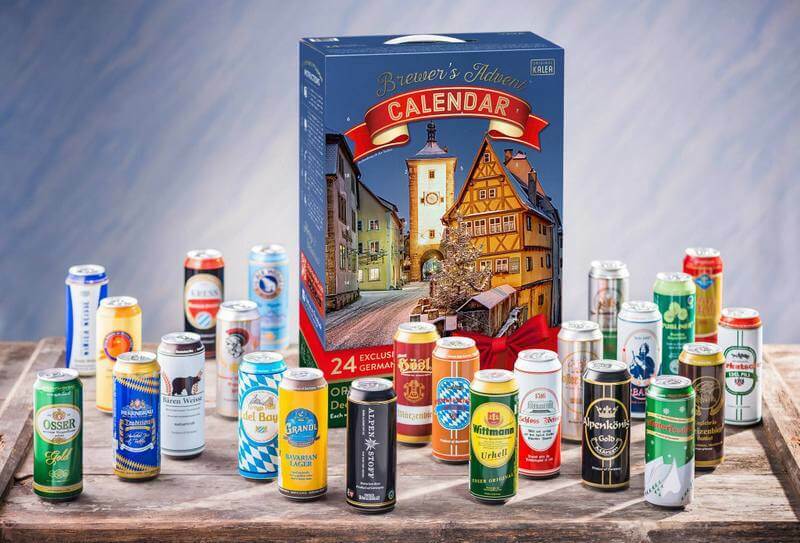 This calendar from KALEA consists of 24 different German beers otherwise not available in the U.S. You can download a corresponding app, scan the label on the can and instantly access information about each beer. It’s too easy, and too cool. This is the fourth year Kalea has produced this advent calandar, which is available for $59.99 at select Costco stores around the country.